There are a lot of myths out there about crocodilians, the order to which both alligators and crocodiles belong. Evon Hekkala, the principal investigator at Fordham University’s Hekkala Lab and a research associate at the American Museum of Natural History, spoke with mental_floss after the opening of AMNH’s latest exhibition, “Crocs: Ancient Predators in a Modern World,” to get to the truth. 1. MYTH: THEY CAN RUN AS FAST AS A RACEHORSE. In the water, though, it’s a different story: Crocs still aren’t as fast as racehorses, but they can reach speeds a little over 20 mph. “I wouldn’t want to try to outrun one in the water,” Hekkala says. 3. MISCONCEPTION: CROCODILES AND ALLIGATORS ARE BASICALLY THE SAME. Like birds, crocodilians have complex social systems (more on that in a minute), and they can even be trained. 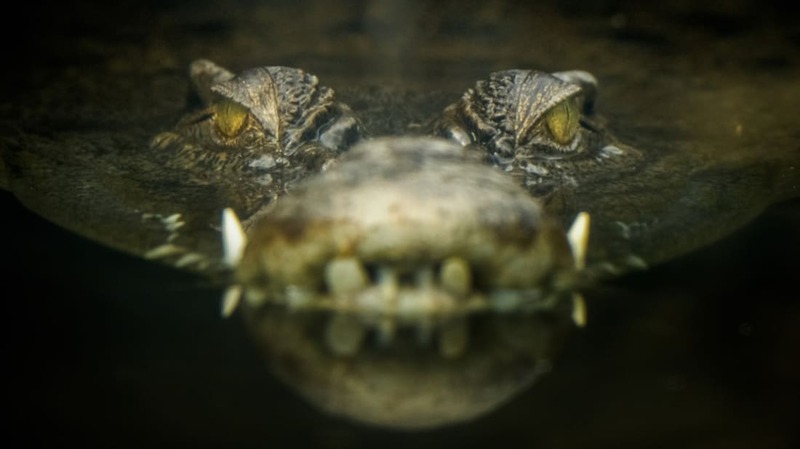 “There are people recently who have been training captive populations of crocodiles to come to a clicker so that they can get their veterinary treatment, and it’s working,” Hekkala says. Crocs can be trained the same way you train a dog or a cat: The croc comes to the clicker and gets a treat, reinforcing the desired behavior. 5. MISCONCEPTION: THEY EAT THEIR YOUNG. 6. MYTH: THEIR SKIN IS SUPER HARD. 7. MISCONCEPTION: THERE ARE TWO LIVING CROCODILIANS—ALLIGATORS AND CROCODILES. The American Museum of Natural History’s “Crocs: Ancient Predators in a Modern World” runs until January 2, 2017.